Drain your water heater regularly to keep it running efficiently and safely. I just drained my water heater for the first time since it was installed back in ’89…24 years ago! The water came out very clean, with no sign of sediment, so I stopped after about five minutes. Does this mean that my heater has no sediment? 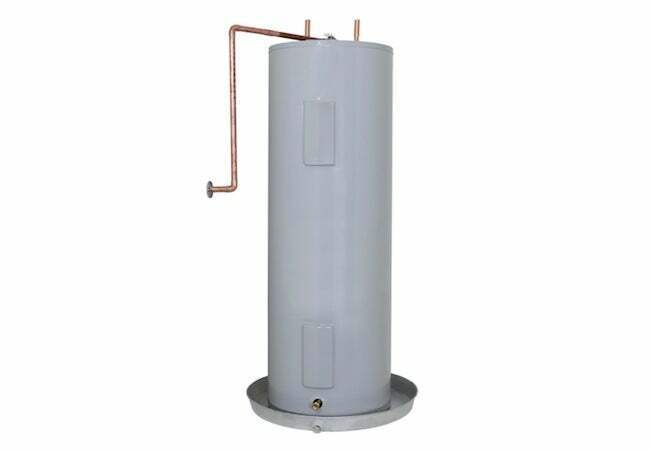 It’s smart to drain a water heater every year, no matter what type of storage tank water heater you own. Sediment builds up over time within the appliance, compromising its energy efficiency and leading to clogs in fixtures throughout the house. The fact that you witnessed clean-looking water come out of your tank does not necessarily mean you’re in the clear. To remove sediment, you must drain a water heater not just for five minutes, but for as long as it takes to empty out completely. STEP 1: Check the pressure-relief valve. STEP 2: Run your drain line. Run a garden hose from the water heater drain to the exterior of your home. If the tank sits below grade (say, in the basement), you’ll likely need at least two lengths: one that runs from the tank to a portable pump, plus another that runs from the pump to the outdoors. If your water heater is located anywhere besides the basement, then gravity ought to do the trick. To be on the safe side, give the water in the switched-off heater ample time to cool down (allot several hours) before opening the drain valve. Note that taking a long, hot shower proves an effective strategy for speeding up this part of the draining process! STEP 3: Flush your tank. After opening all the hot water faucets around your house, proceed to open the water heater drain valve. (Now is the time to activate your pump, if you’ve chosen to use one.) Let the tank drain completely, then turn on the water supply (short bursts of water may help to dislodge any sediment buildup). If sediment slows or obstructs the flow of water from the drain valve, get it out of the way: In other words, remove the drain valve, so the sediment can exit through a larger opening. With the valve removed, a long screwdriver or dowel may assist you in dislodging sediment. Keep several large buckets on hand to capture the outflow. Once the water coming out of your tank appears to be running clear, turn the supply off once more. Then close the water heater drain valve and turn on the cold water supply. Remember also to return the pressure-relief valve to its initial position. 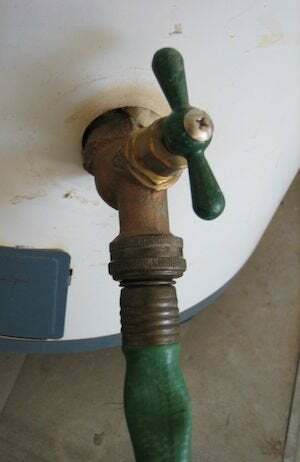 Shut off the hot water faucets around your house (which you had turned on in Step 3) and, finally, restore the power to your water heater, which is now free of sediment.